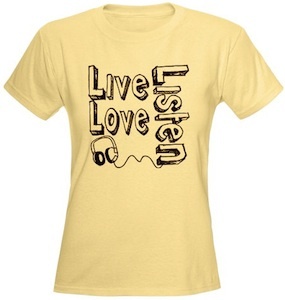 This is a cartoon like shirt with the words live, love and listen on it and a pair of headphones drawn on there to. It comes is different colors and styles but i seem to like this yellow. Go check out this sweet Live Love Listen T-Shirt.